Carers have a vital role in end of life care in all settings. They are essential in enabling people to live at home at the end of their lives. Carers give and receive care, and have a range of support needs related to this complex role. 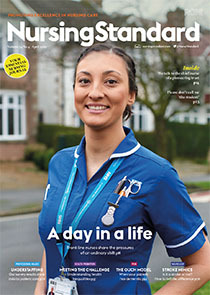 This article explores the context of caring at the end of life and considers the experience of carers, in particular those who have a non-professional and unpaid relationship with someone who is at the end of life, and the support they require.